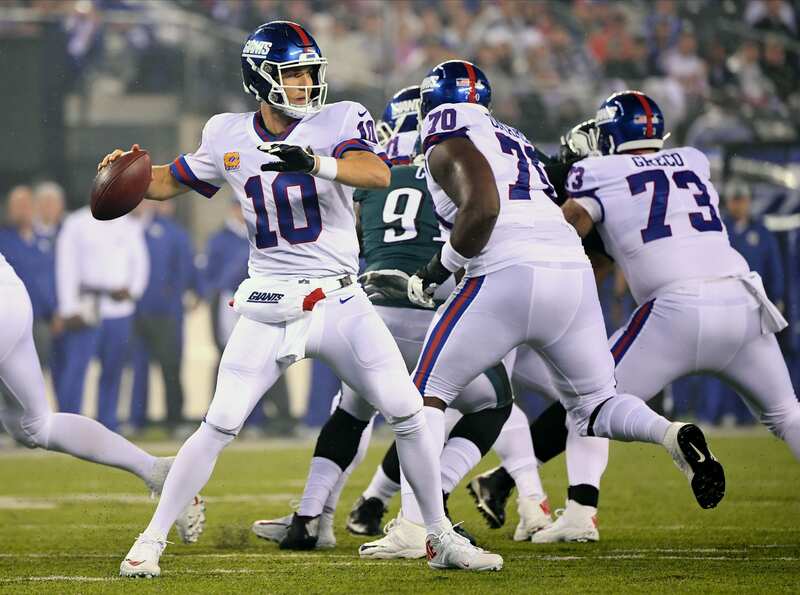 The New York Giants have a lost season on their hands, but they aren’t going to make the same move they did last year and bench Eli Manning. For better or worse, Manning will remain the starter for the team’s Monday Night Football game with the San Francisco 49ers, one of the teams competing with the Giants for the number one overall pick in next year’s draft. Of course, backup quarterback Kyle Lauletta isn’t in much of a position to start right now. While Lauletta technically wasn’t suspended, PR reasons will likely have him ride the bench at least until later in the season. There’s no guarantee that Lauletta starts at all. He was an underdog to win the starting job even before his arrest, and that arrest may serve as a setback. Manning has been much criticized this season but it’s perhaps unfair criticism, as while Manning hasn’t wowed anyone with his performances in 2018, all of them have come behind one of the worst offensive lines in the league. Manning threw for 316 yards against the Redskins last Sunday, but had two interceptions to go with his one touchdown and had his performance hurt by a season-high seven sacks. With the 49ers having one of the worst defenses in the league at the moment, however, Manning may be able to have a better game this time out and restore at least some faith, even if it’s temporary.